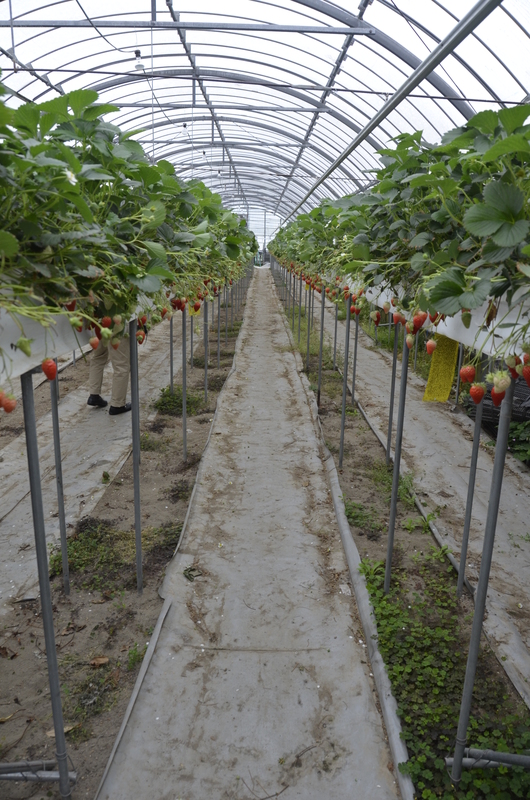 Strawberries were in season when we visited Japan, and they were consistently very sweet. 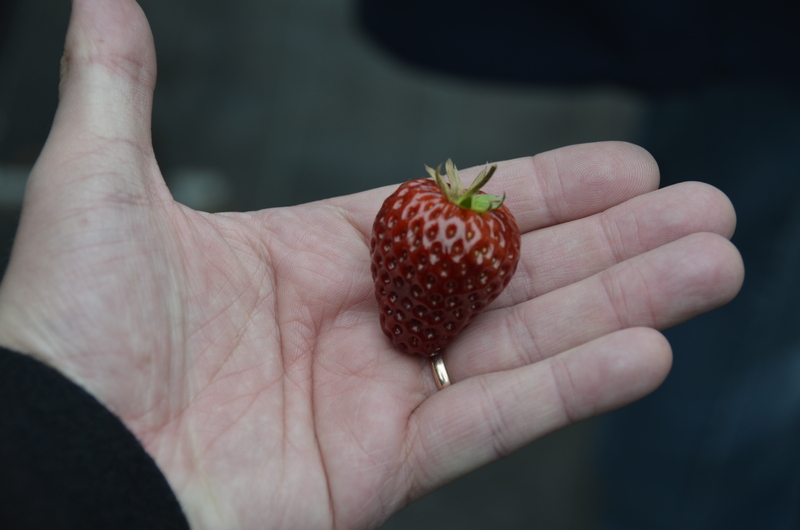 One day we were taken to a U-pick strawberry farm, but it was unlike any I’d ever seen before. 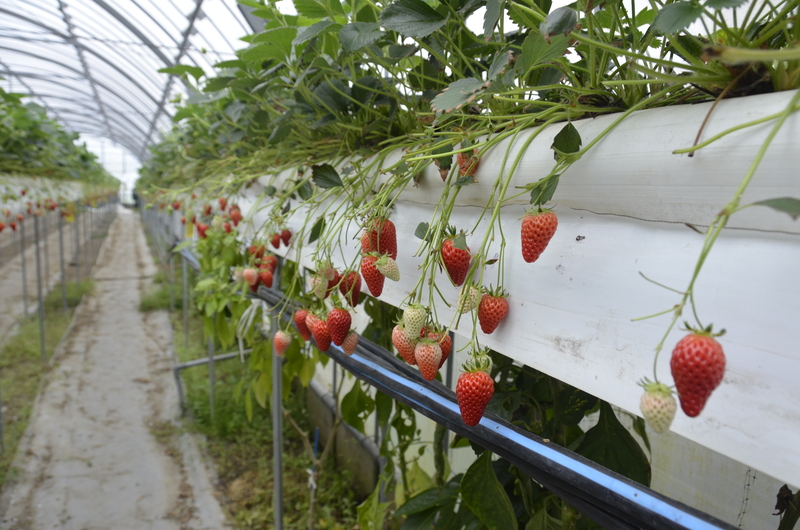 First, the strawberry plants were grown in elevated planters about 3-4 feet off the ground. This meant the fruit were not lying on the ground getting dirty, and you didn’t have to stoop down to pick them up. Also, the leaves were trimmed away, so the berries were easy to spot and pick. We were each given a small plastic container with two sections. One was for your discarded strawberry stems, the other had condensed sweetened milk to dip your strawberries into. The strawberries were so sweet they hardly needed the additional sweetener. What a great idea! I grew up in a small town pretty well out in the country. There was a strawberry farm nearby, and my mother, sister, and I went strawberry picking every year. 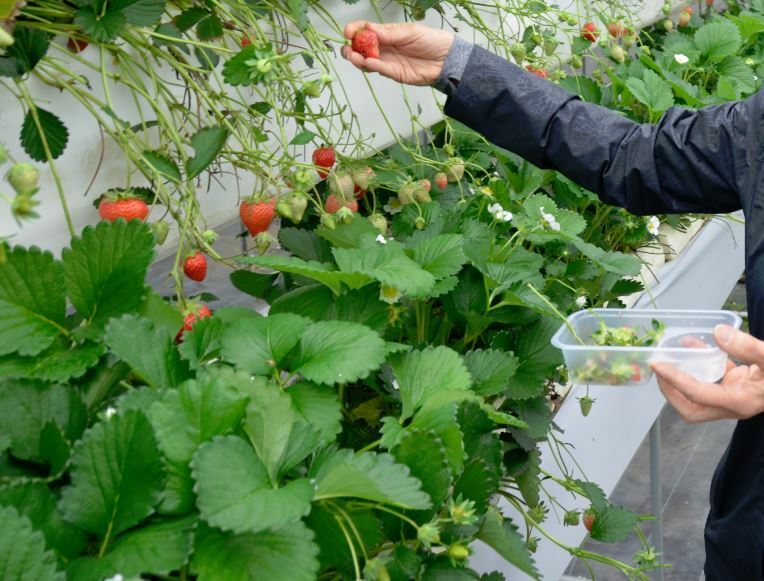 Until I went to college, I had never eaten a strawberry picked by anyone outside my family.